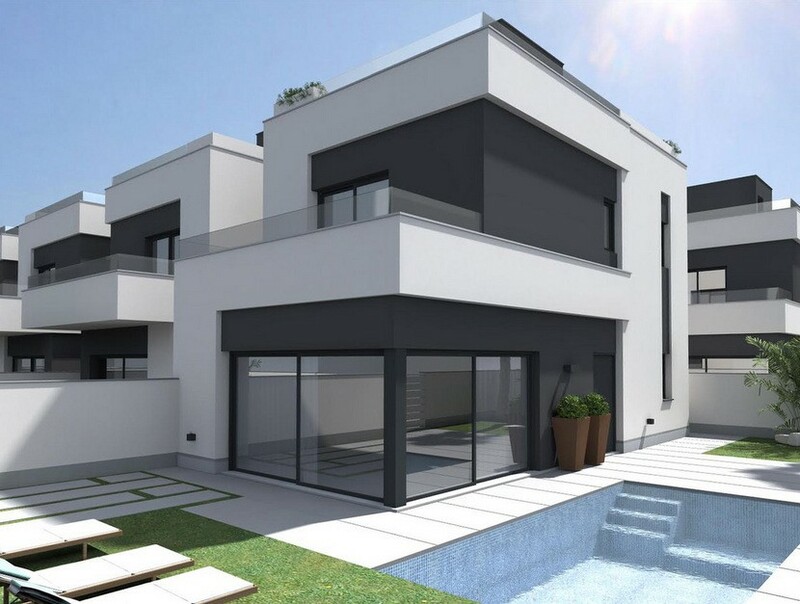 Our Calle Mascara project offers a fantastic location in Moraira, close to the coastal road, within a 2 minute walk to amenities including a supermarket, bars and restaurants and only a 5 minute walk to the coast. 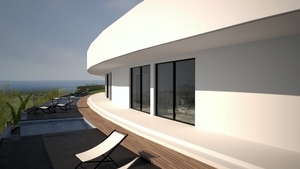 An elevated South facing corner plot allowing for privacy around the pool area but with views across to the sea from the first floor. 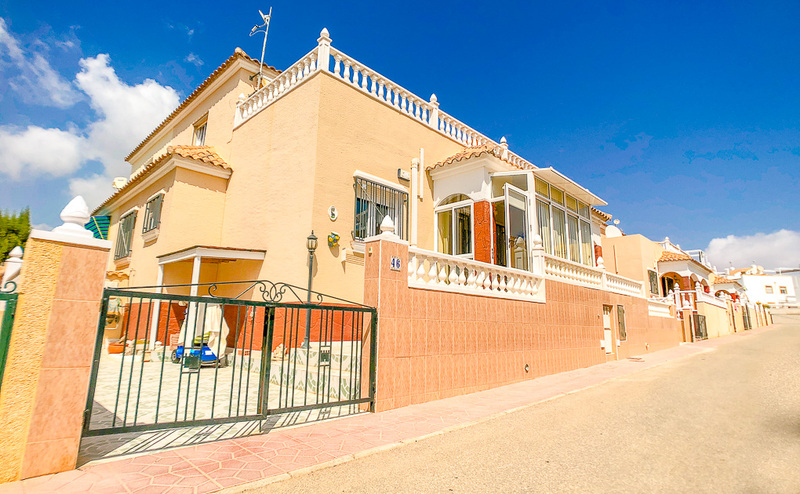 We are offering the villa Rosa on this plot for a total cost of 499,995€ Detached villa (Villa Rosa) on 2 floors with a construction area of 137 m2 . All of our villas include, underfloor heating, an Italian designer kitchen with Bosch appliances, Saloni tiling throughout, fully installed ducted air conditioning, electric shutters, 8 x 4 swimming pool and terraces, motorised entrance gate for vehicle access and driveway of compressed concrete + more… ask for full details. 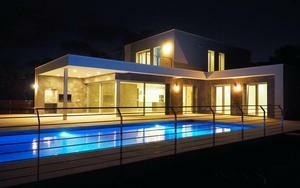 Amazing luxurious villa on the top of El Portet, Moraira. One of the more demanding areas in the Costa Blanca North. 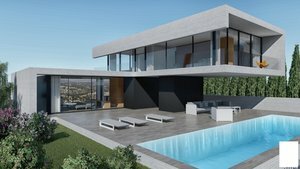 This project is built on 3 levels with lovely views of the Mediterranean sea and the landscape surrounding the house from both sides. 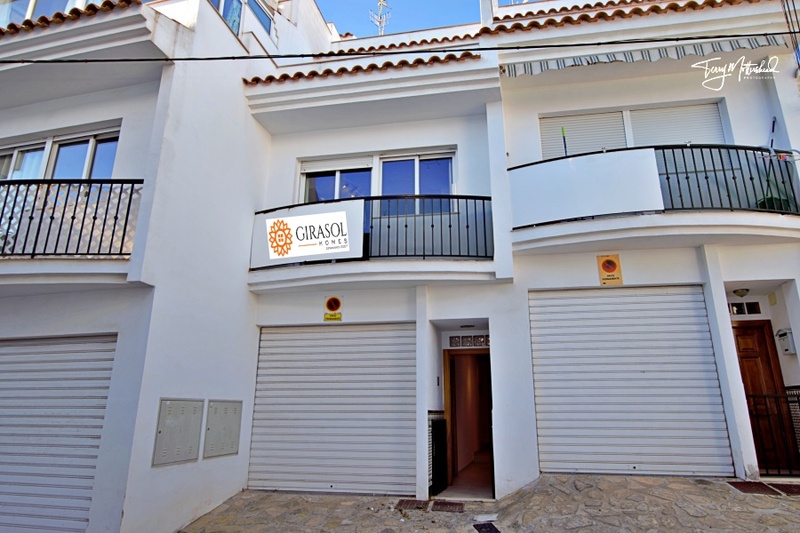 Coming for Moraira town and passing the harbor, you will find El Portet beach, where you can enjoy the sand beach with very good restaurants and other services like pharmacy and boutique hotel. 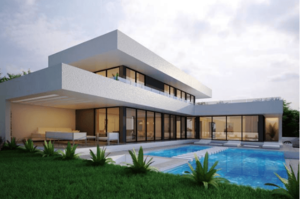 You will access the villa from a cul du sac walking through a pleasant path giving you the chance to discover the different features of this project. From the main entrance, you get access to the ground floor directly to the hall, allocating the kitchen, living-dining all in one area. From the hall, you can access the top floor or the ground floor by stairs or elevator. The living area and kitchen have direct access to the pool and outdoor entertainment area with barbeque. The top level is dedicated to the sleeping area and consists of 2 master bedrooms with walk-in closets, fully equipped bathroom with amazing views. On the ground floor, there are 2 further bedrooms both with en-suite bathrooms. There is a laundry room and closed garage for 2 cars. 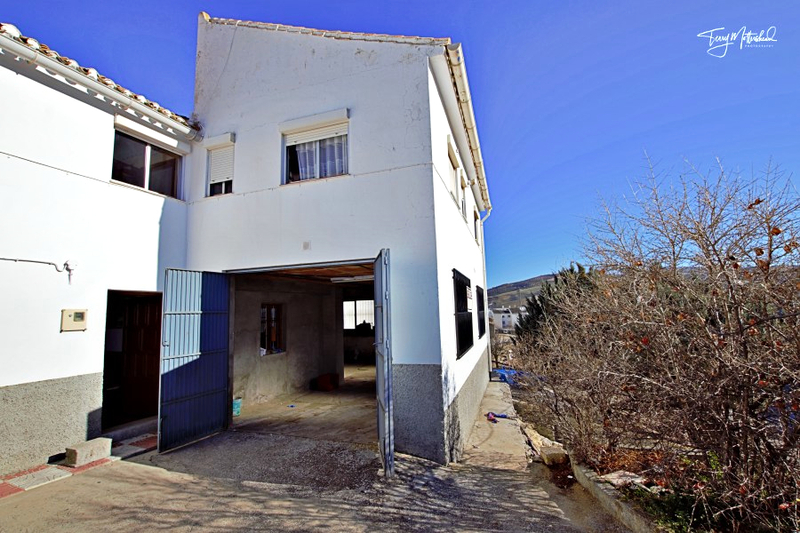 Lovely new build villa for sale in Moraira, close to town. 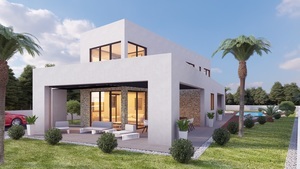 This one level villa will be built within walking distance to the beautiful town of Moraira. 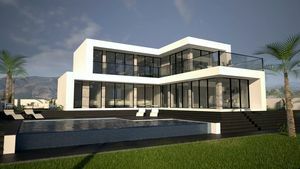 The property will comprise of a large lounge/dining area of 49.52m2, an American style kitchen, 3 double bedrooms, one with an en-suite bathroom and dressing area, a further family bathroom, a large garage of 31,34m2, a laundry room, and guest toilet. 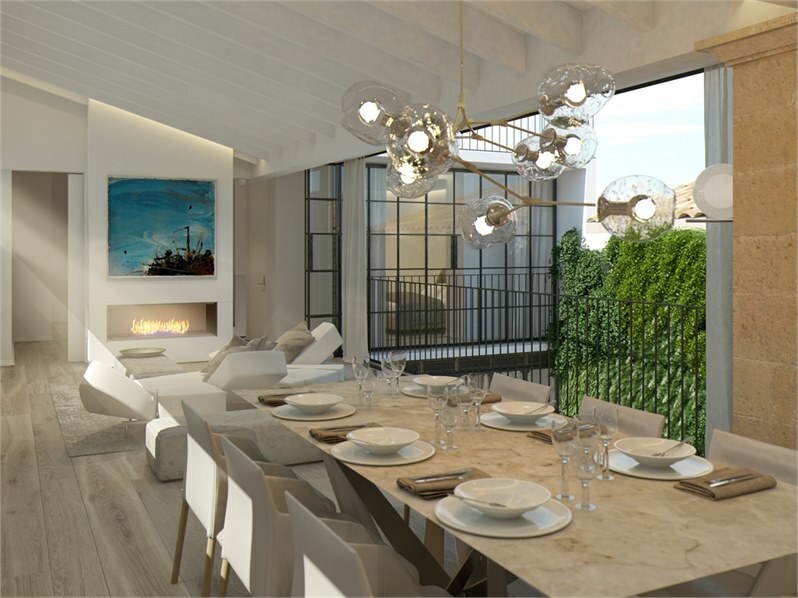 The property will be constructed using high-quality materials.